Elijah Anderson is an American sociologist. He holds the Sterling Professorship in Sociology and African American Studies at Yale University, where he teaches and directs the Urban Ethnography Project. Anderson is one of the nation’s leading urban ethnographers and cultural theorists. He received his B.A. from Indiana University, his M.A. from the University of Chicago and his Ph.D. from Northwestern University, where he was mentored by Howard S. Becker. Before joining the Yale faculty in July 2007, Anderson served for many years as the Charles and William L. Day Distinguished Professor of the Social Sciences and Professor of Sociology at the University of Pennsylvania, with a secondary appointment in the Wharton School; in 2008, he was accorded the Charles and William L. Day Distinguished Professor Emeritus of the Social Sciences at the University of Pennsylvania. Previously, he worked as an assistant professor of Sociology at Swarthmore College (1973–1975); in 1975, he joined the Penn faculty. 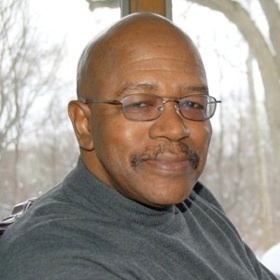 At the University of Pennsylvania, he rose to associate professor in 1981, and to full professor in 1988; he was appointed to the Max and Heidi Berry Term Chair in the Social Sciences in 1989, to the Charles and William L. Day Professorship in 1991, and then to Distinguished Professor in 2001. He has also served as Visiting Professor at Swarthmore College, Princeton University, and Ecole des Etudes Hautes en Science Sociales in Paris, France. Anderson has written and edited numerous books, book chapters, articles, and scholarly reports on race in American cities. His most prominent works include Code of the Street: Decency, Violence, and the Moral Life of the Inner City (1999), winner of the 2000 Komarovsky Award from the Eastern Sociological Society; Streetwise: Race, Class, and Change in an Urban Community (1990), winner of the American Sociological Association’s Robert E. Park Award for the best published book in the area of Urban Sociology; and the classic sociological work, A Place on the Corner: A Study of Black Street Corner Men (1978; 2nd ed., 2003). In 2008, he edited Against the Wall: Poor, Young, Black, and Male (Penn Press), which is based on a national conference, “Poor, Young, Black, and Male: A Case for National Action?” which he organized at the University of Pennsylvania in 2006. His most recent work is: The Cosmopolitan Canopy: Race and Civility in Everyday Life (2011, W.W. Norton). Professor Anderson is the 2013 recipient of the prestigious Cox-Johnson-Frazier Award of the American Sociological Association and the 2017 recipient of the Eastern Sociological Society’s Merit Award. In addition, Anderson has won the Lindback Award for Distinguished Teaching at the University of Pennsylvania; and he was named the Robin M. Williams, Jr., Distinguished Lecturer for 1999-2000 by the Eastern Sociological Society. In 2006, he was awarded an honorary Doctor of Science degree from Northwestern University. 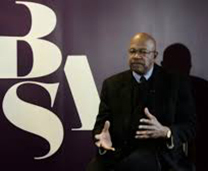 Anderson has served on the Board of Directors of the American Academy of Political and Social Science and as vice-president of the American Sociological Association. He has served in an editorial capacity for a wide range of professional journals and special publications in his field, including Qualitative Sociology, Ethnography, American Journal of Sociology, American Sociological Review, City & Community, Annals of the Society of Political and Social Science, and the International Journal of Urban and Regional Research. He has also served as a consultant to a variety of government agencies, including the White House, the United States Congress, the National Academy of Science, and the National Science Foundation. Additionally, he was a member of the National Research Council’s Panel on the Understanding and Control of Violent Behavior.